Features: A right handed 1m4f oval course. The track is flat and sharp track with tight bends. The fences are of moderate difficulty. Top Trainers:Nicky Henderson enjoys a tremendous 39% strike rate, showing £20.63 profit on his runners. Jonjo O’Neill should also be respected with a 24% strike rate a significant improvement on his 15% average elsewhere. Top Jockeys: Barry Geraghty is an infrequent visitor but has 11 wins from his 27 rides in the last five seasons, a 41% strike rate. Pass The Time was only beaten 6.5 lengths by Quevega at Cheltenham and although she was possibly flattered she's won twice in this lower grade. 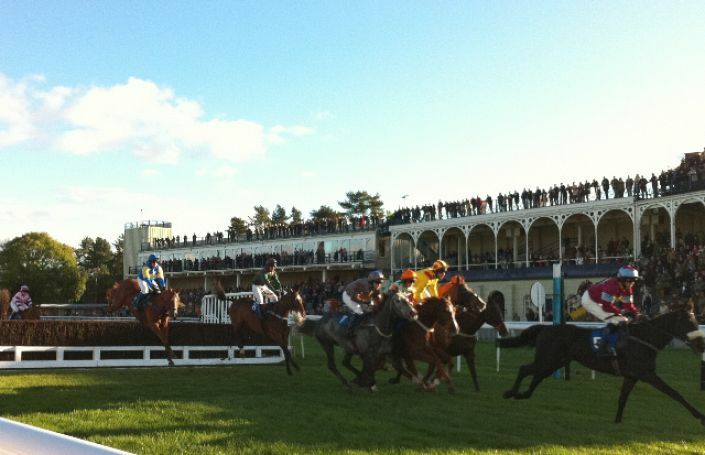 Baltimore Rock has been backed from 5/2 into 5/4 to win the 3.45 Ludlow. He ran well on his handicap debut and has been consistent during his young career. Benbens is having his first start in 609 days but he is expected to run well in the 12.50 Ludlow if the betting market is anything to go by. Portway Flyer bolted up last week at Doncaster and he's been heavily backed to win the 3.10 Ludlow. Having opened at 5/4, he is no bigger than 8/13. Zarzal is reasonably well handicapped on the pick of his hurdles form and although still a novice, he's been backed to win on his third start over fences in the 2.15 Ludlow. Daymar Bay opened at 16/1 and has been backed into 11/2 for the 2.30 Ludlow. Having raced only once since April 2012 this has the feeling of and old fashioned plot.